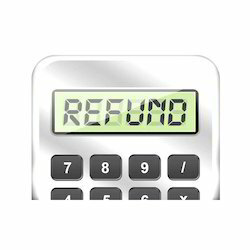 Our organization has gained immense expertise in providing VAT Tax Refund to our clients. We follow the industry rules and regulations and work as per the latest changes in the Goods Services tax rules and parameters. An office who is receiving only input services and not providing any outputt service can distribute the CENVAT Credit of the service tax paid on input services. An input service distributor must make an application for registration within 30 days from the commencement of business. We specialize in offering a wide range of Service Tax Returns Filing Services. Offered ranges of services are in line with modern market trends and timely completed. Apart from this, we are best in the market due to our quality approved the range of services.